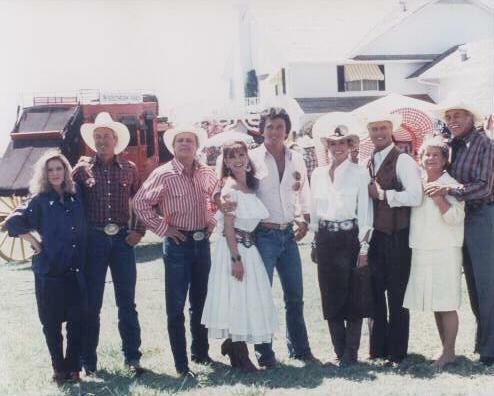 Another 1986 cast shot. You might notice Susan Howard did not make this shot. The first one was taken in LA, on the Dallas sound stage. This one was taken in Dallas, on location, and Ms Howard was not present. Same clothes, but differn't months!! !